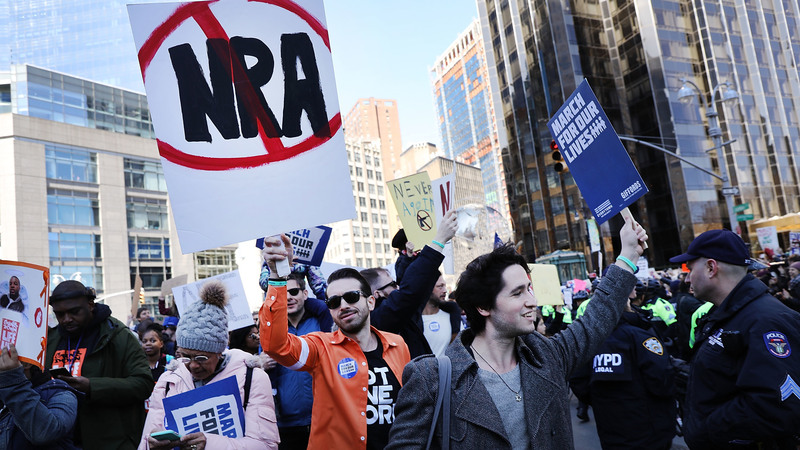 "What has changed is that for the first time the gun control groups are well-funded and have... efforts nationwide," said Jennifer Baker, a spokesperson for the NRA's lobbying arm. "They have an infinite amount of resources, as they're funded by billionaire Michael Bloomberg... who is decidedly anti-gun. And so he has allowed these organizations to have a presence in the state capitals on lobbying and to really put forth the effort we've never seen." "It was considered the third rail of American politics," said John Feinblatt, the president of Everytown for Gun Safety. "That was true for Democrats, it was true for Republicans... political prognosticators said, it doesn't matter what you feel in your heart, it's just not worth touching. No more." The NRA also doesn't believe that new gun restrictions will go anywhere because of allies in the Republican-controlled Senate. And it also points to the Supreme Court — where it believes it has a majority on its side on gun rights issues. "Practically speaking, the landscape has not changed for the prospect of enacting federal gun control... In the Senate they don't have the 60 votes that they need, and there is a pro-Second Amendment president in the White House," Baker said. "But what has changed.... is that we now have a majority of Supreme Court justices who are originalists."